* Practice lessons given 7 days a week between 9am and 9pm. The new S.A.A.Q. 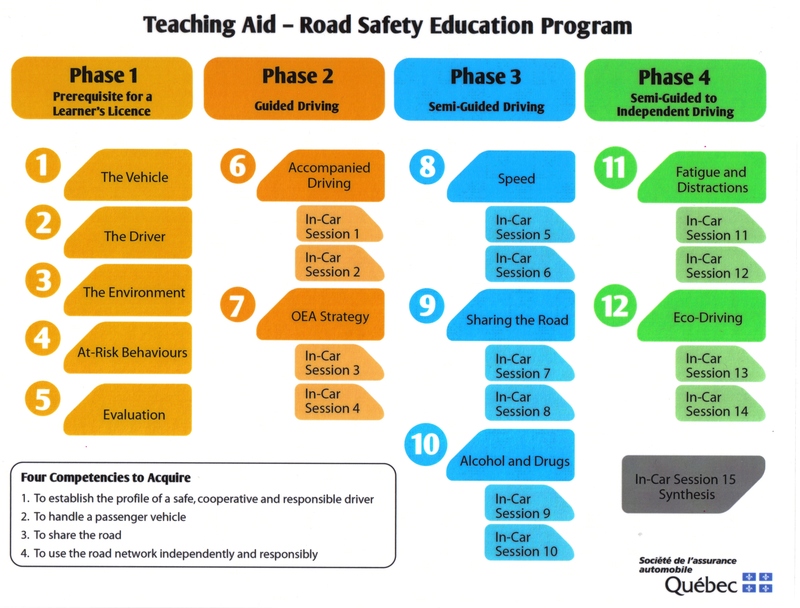 sanctioned driving course for obtaining a class 5 driver's license is separated into 12 in-class sessions and 15hrs of driving that are completed within a minimum of 13 months. Certified course by the S.A.A.Q. Exclusive Hazard ID™ Defensive Driving included! Illustrated Access Handbook for in car courses - All the exercises and feedback from your driving course in a easy to follow illustrated handbook. ​$455 +tax for 12 hours. ​Access evaluation, Parking perfection, Lane changes and blind spots, Practical Exam preparation and so much more! An unused book is required by the SAAQ for all students attending the course. Would you like to add the $50 theory book to the cart now or buy it in person before your first class?